I was delighted to hear that Louis Vuitton will display Shobha Deepak Singh’s Vastra Sobha at LV outlets coming Diwali. Vastra Shobha’s zardozi, antique irreplaceable rare textiles, veils, borders and coats enjoy a place in this selection. LV wouldn’t just be endowing their show windows with Vastra Sobha, but would also incorporate it in some of their classic ensembles that will be retailed through the LVMH stores across the country. But when I read that this promotion is only for India, I was disheatened. Why? Is Sobha Deepak Singh’s textiles not good enough for rest of the world? LV sales are great in India and I feel they can definitely do something in return for India. In 2001 Vuitton had collaborated with graffiti artist Stephen Sprouse and in 2003 Marc Jacobs of LV collaborated with Japanese artist Takashi Murakami. 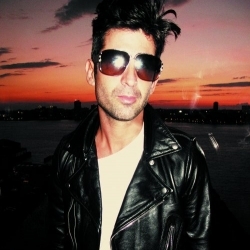 Recently Louis Vuitton and grafitti artist/ club owner/ photographer Andre Saraiva collaborated on the Louis Vuitton Spring/Summer 2010 sunglasses line. During World War II Louis Vuitton even collaborated with the Nazis. I wonder if I will ever see LV collaborating with any Indian Artist in my lifetime. In fact I doubt LV’s Creative Director – Marc Jacobs has ever seen works of Indian artists. The collaboration with Sobha Deepak Singh’s textiles that showcases country’s rich textile troves is definitely an encouraging step taken by Louis Vuitton but I fail to understand why the collaboration can’t be taken to all the LV Stores in the world. On the other hand Judith Leiber that came into India couple of years back has already collaborated with Indian designer Suneet Varma. 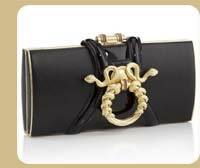 Varma’s collection for Leiber was a big hit with Hollywood stars and we saw many carrying them at Cannes. It’s pure economics Jack. Japan contributes more than half of LV’s sales. Hence the Murakami collaboration. Cheers a lot for the blog site. Excellent.